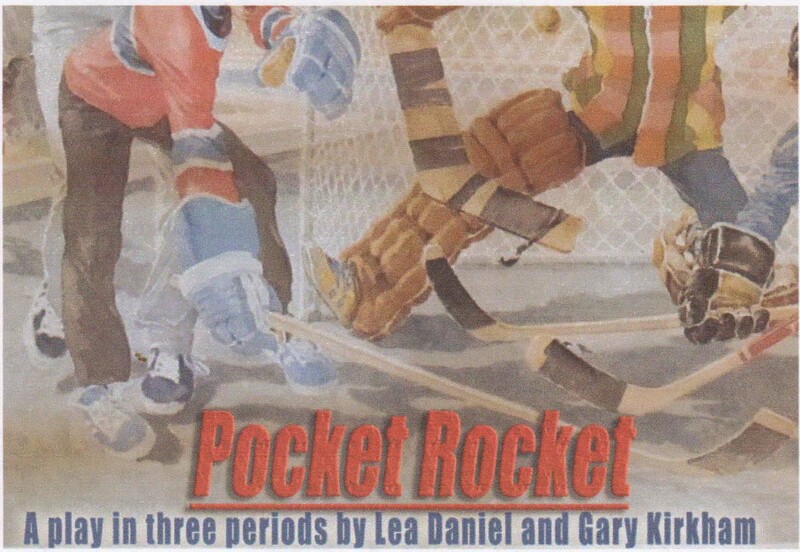 There are any number of hockey cliches that could be used to describe Pocket Rocket: A play in three periods currently being staged by Kitchener’s Lost & Found Theatre. Using any one of them (except in this blog’s head) would detract from the excellence of the production. Steve (Andrei Preda) – the jock who thought he was better than everyone else and let everyone know it. Paul (Mark Kreder) – the physically and socially awkward teen with overprotective parents who desperately wanted to fit in. Dave (Matt White) – the vulnerable one whose family circumstances leads him to look for a family in his friends. Cindy/Sid (Hannah Ziss) – the tomboy on the brink of becoming a young woman. Ifty (Suchiththa Desilva) – the new kid on the block and the outsider who changes the group’s dynamics. Pocket Rocket is filled with humour, pathos and heart-wrenching emotion that will find you laughing one moment and deep in thought the next. With Act 1 set in 1967, “Canada’s last great year” pronounces Steve, Pocket Rocket opens with our 14-year-olds – Steve, Paul, Dave and Cindy – saying good-bye to an old friend, hello to a new friend and discovering more about themselves than they want to. Playwrights Lea Daniel and Gary Kirkham have written a script filled with humour, pathos and heart-wrenching emotion that will find you laughing one moment and deep in thought the next. In Act/Period 2, now set in 1981, the friends gather to help Dave move and, for old times’ sake, have another game of road hockey. The tensions – sexual, personal, familial and otherwise – introduced in Act 1 continue to simmer until they explode. By the end of the act everything has changed leaving everyone wondering if life will ever be the same. The shift in time gives the cast a chance to showcase their acting muscles from convincingly portraying adolescents to maturing adults. Act/Period 3 opens 14 years later with the friends gathering for another farewell and one last road hockey game. Some of the old tensions remain, while others have been resolved. If I had one criticism of Pocket Rocket it’s that the play’s denouement seemed somewhat rushed in this act leaving some of the plays issues (especially around Dave and Steve) unanswered.